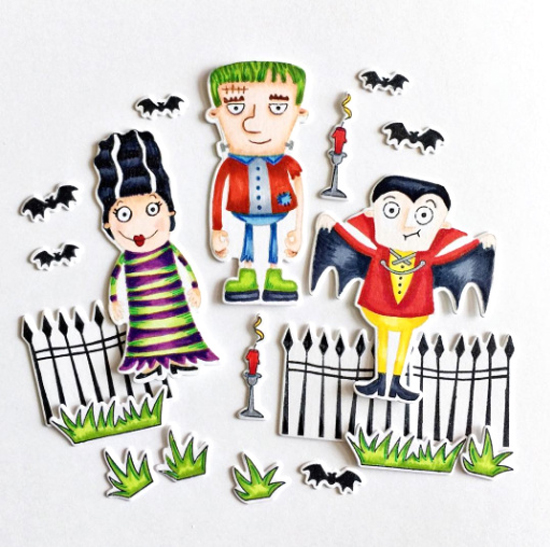 I spotted this amazing coloring of our Frightful Friends stamp set and Die-namics from the very talented Suzy Plantamura! Totally digging on Frankenstein's green hair! 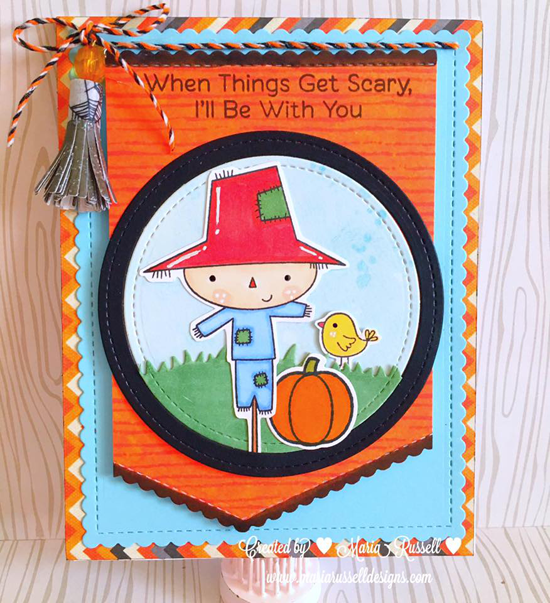 Annett's card isn't scary at all with the happy smiling jack o' lantern from the Spooky Sweets stamp set. I don't know about that colony of bats in the purple sky, though. 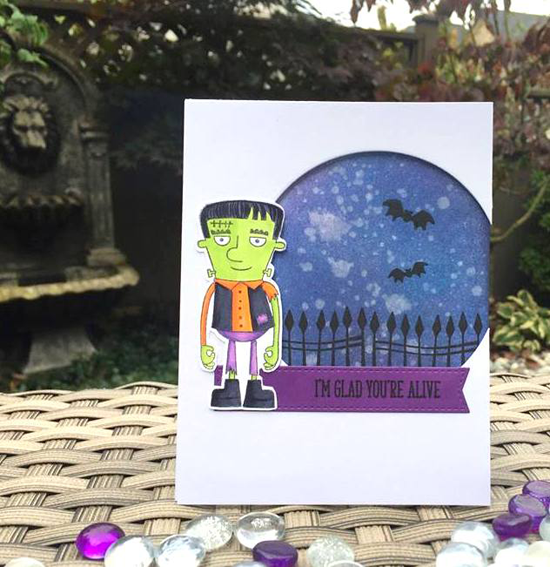 Maria submitted this not so scary card as an entry for Sketch 299. I love the bright aqua she paired with orange — an excellent use of complementary colors! The sweet scarecrow wouldn't hurt a soul! 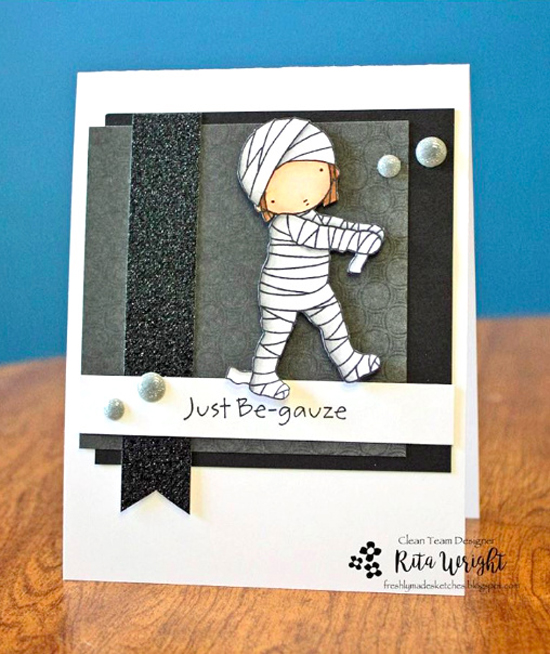 Simple and spooky all at once, Rita features our adorable Pure Innocence Mummy on this fun Halloween design. I particularly love the glitter accents. Cute! Kathy's spooky card was an entry for Sketch 300. The cool sky and purple flag give a deep intensity to her design, but the sea of white allows young Frankenstein to stand out. And how much do you DIG that cool fountain in the background of the photo/ Awesome staging, Kathy! Thanks for using MFT, ladies! You've left us inspired, and that's what it's all about! 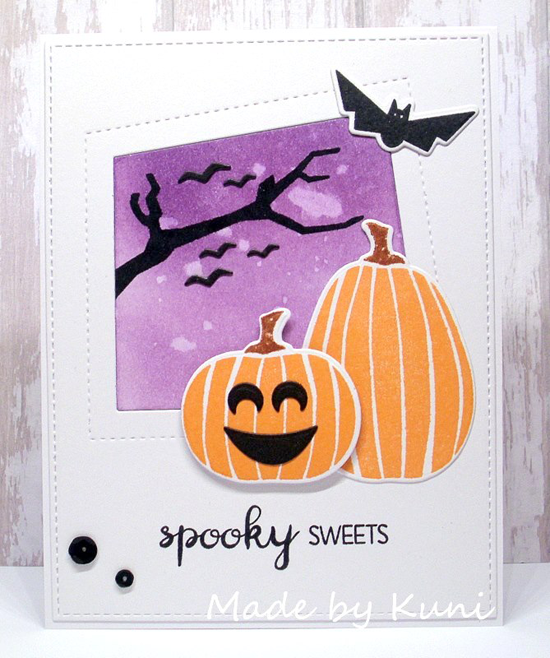 See you tomorrow for another great Sketch Challenge, and look for the next MFT Color Challenge this Thursday, October 27th.